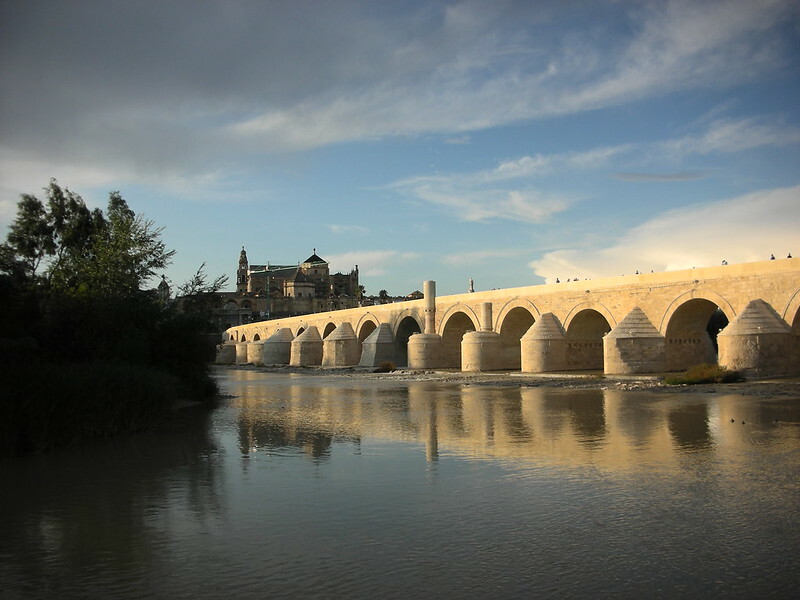 The components of this huge and complex project are the long 1st century BC Roman Bridge over the River Guadalquivir, the Puerta del Puente, a renaissance gate which had been transformed a century ago into a triumphal arch, and the Calahorra Tower, originally Moorish but adapted into a Christian stronghold in the 15th century. On top of these historical conservation requirements, a new visitor centre was commissioned to connect with the Gate on the town side of the bridge. Naturally a venture on this scale had to be divided into a series of individual projects, beginning with the Tower and its surroundings; then the consolidation of the bridge (it has for many years been accessible to pedestrians only) and its piers and cutwaters; and finally restoration of the Gate and the refurbishment of its interior for a permanent exhibition. The areas around both Tower and Gate needed comprehensive replanning, to accommodate in the latter case the new centre to welcome visitors to the city of Cordoba. In all, a multi-million project spread over 10 years.